Sarah Nader- snader@shawmedia.com Marian Central's Taylor Anderson catches a fly ball during Saturday's championship game against Conant at the Woodstock Varsity Softball Tournament at Bates Park in Woodstock April 26, 2014. Marian Central was defeated, 8-18. 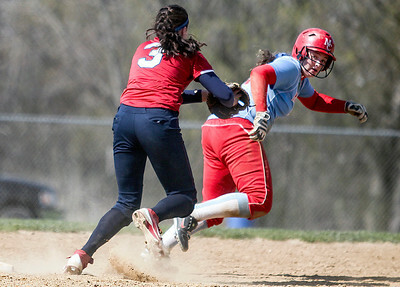 Sarah Nader- snader@shawmedia.com Conant's DeeDee Durr (Left) tags out Marian Central's Jackie Chmiel during Saturday's championship game against Conant at the Woodstock Varsity Softball Tournament at Bates Park in Woodstock April 26, 2014. Marian Central was defeated, 8-18. 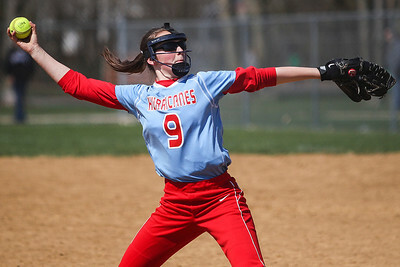 Sarah Nader- snader@shawmedia.com Marian Central's Jenny Giesey pitches during Saturday's championship game against Conant at the Woodstock Varsity Softball Tournament at Bates Park in Woodstock April 26, 2014. Marian Central was defeated, 8-18. 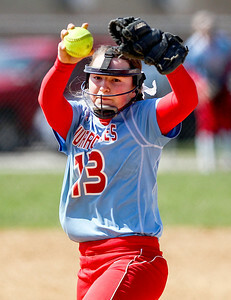 Sarah Nader- snader@shawmedia.com Marian Central's Maddie Peters during Saturday's championship game against Conant at the Woodstock Varsity Softball Tournament at Bates Park in Woodstock April 26, 2014. Marian Central was defeated, 8-18. 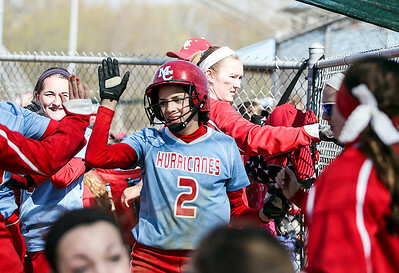 Sarah Nader- snader@shawmedia.com Marian Central's Taylor Anderson celebrates a run during Saturday's championship game against Conant at the Woodstock Varsity Softball Tournament at Bates Park in Woodstock April 26, 2014. Marian Central was defeated, 8-18. 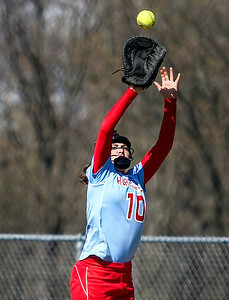 Sarah Nader- snader@shawmedia.com Marian Central's Emily Miller catches a pass during Saturday's championship game against Conant at the Woodstock Varsity Softball Tournament at Bates Park in Woodstock April 26, 2014. Marian Central was defeated, 8-18. Sarah Nader- snader@shawmedia.com Marian Central's Ashley Daniels during Saturday's championship game against Conant at the Woodstock Varsity Softball Tournament at Bates Park in Woodstock April 26, 2014. Marian Central was defeated, 8-18. 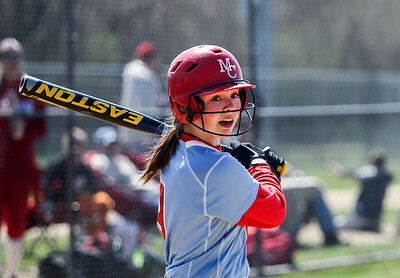 Sarah Nader- snader@shawmedia.com Marian Central's Maddie Peters watches her hit during Saturday's championship game against Conant at the Woodstock Varsity Softball Tournament at Bates Park in Woodstock April 26, 2014. Marian Central was defeated, 8-18. 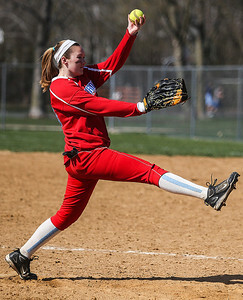 Marian Central's Taylor Anderson catches a fly ball during Saturday's championship game against Conant at the Woodstock Varsity Softball Tournament at Bates Park in Woodstock April 26, 2014. Marian Central was defeated, 8-18.